JENNIFER GARDY, PhD, is the head of British Columbia’s Center for Disease Control Genome Research Laboratory and Adjunct Professor of Microbiology and Immunology at the University of British Columbia. In addition to her research and teaching, Gardy does speaking engagements and is often found on TV and radio talking about germs and diseases. She lives in Vancouver, BC. Don’t be afraid to delve into the good, bad, and sometimes truly ugly world of germs. Microbiologist Jennifer Gardy, who calls herself a disease detective, picks up her microscope to bring expert insight to the microbes that are all around us but are too small to see. Irreverent, playful, and contagious in all the best ways, It’s Catching discusses a range of germs and the diseases they cause, from the common cold to food poisoning to the Ebola virus. Kids will be enticed––and pretty grossed out––while becoming immersed in information about pus, bacteria, DNA, genomes, and more. They will learn how germs have shaped human history and also about the individuals who are working to hunt them down. Additional elements, like trading card–style profiles of a variety of diseases, a board game, and a detailed index, make this infectious read both useful and entertaining. "What's not to love about a book that makes an eight-year-old think science is cool?" "Gardy and Holinaty have a good sense of the ideal delivery for a middle-grade audience... The combination of clear, matter-of-fact text and lively design makes this a slender study that's big on information." "This book is so interesting and filled with so much valuable information that it will be read cover to cover." "Fascinating and age-appropriate ... written information is perfectly complemented with the amusing illustrations." "Just the right dose of gross ... This scientific exploration of the cooties is compelling and entertaining. 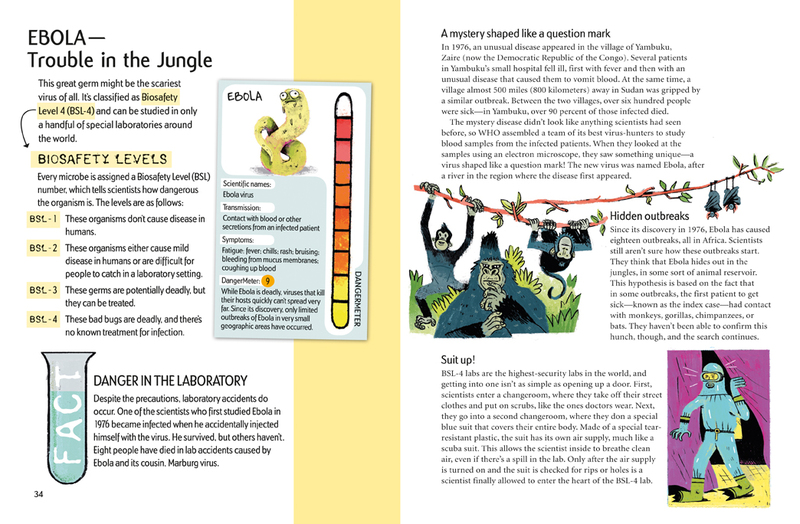 The book's engaging design, featuring charts, graphs and experiments, will encourage further inquiry and discovery." "An entertaining and informative book for inquisitive children." 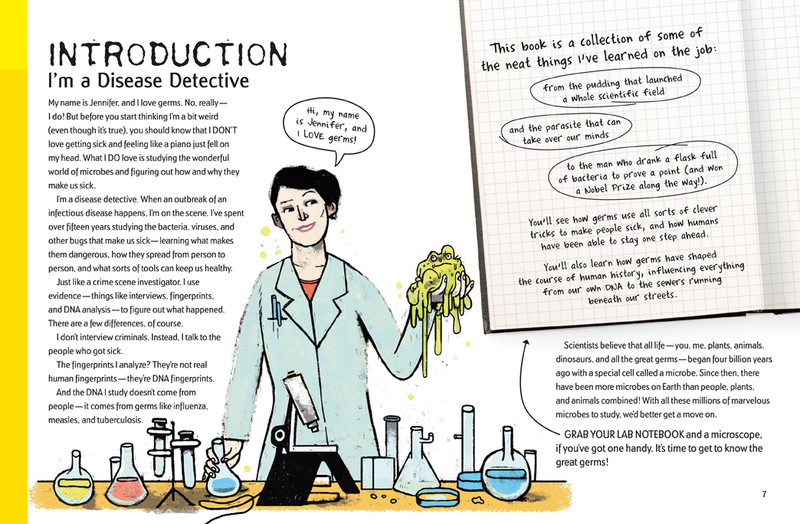 "A fascinating introduction to microbes and how they affect us ... This is a recommended title that will have readers want to try some of the activities and learn more about the microbes that affect us all. It might also inspire science fair projects that lead to who-knows-what discoveries."